List of IT professionals, IT companies and their job offers on the Internet. All categorized by IT skills. Find Java, .NET or PHP developers, companies or job offers at your location. Preactis is a French creative web agency. The team creates products that enhance the brand image of companies, strategies that increase their visibility and tools that simplify the everyday life of entrepreneurs. 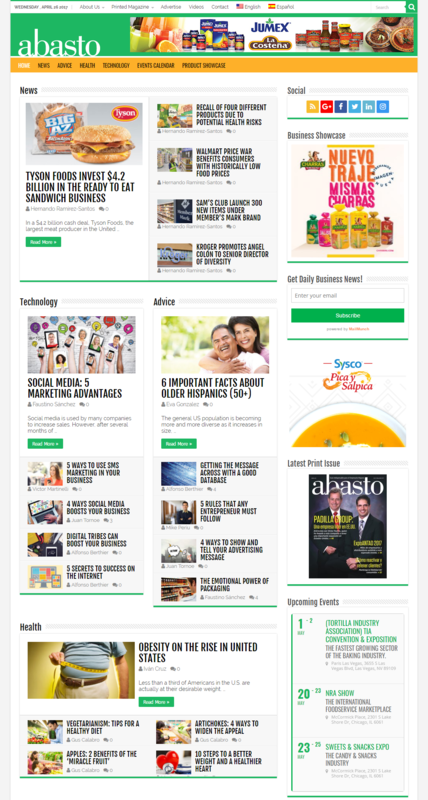 Abasto Media is the only print and digital information outlet in the United States that serves the Hispanic food and beverage industry. Code My Views is a team of Expert Developers specializing in all things code. We work with some of the best technology and creative companies in the business and can take your code to the next level with best in class service, coding, and a US-based team. The brand new portfolio for tiny design studio Superhero Studios featuring bold, bright colours, fun illustrations, and a wide snapshot of our work. Pixel Chefs is a boutique digital marketing agency and web design firm based in Orlando. We work with a select group of private businesses and give them the tools they need to survive and thrive in the wild wild web.